South Africa has 11 official languages but at the Conference only English will be spoken. No simultaneous translation will be provided. The average temperature in Johannesburg in October is somewhat warm at 18.5 °C (65.3 °F). Afternoons can be fairly hot with average high temperatures reaching 25 °C (77 °F). Overnight temperatures are generally quite mild with an average low of 12 °C (53.6 °F). 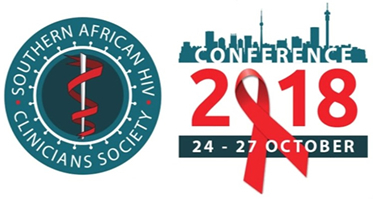 Registration for the Conference implies that delegates agree that neither the Organising Committee nor the Southern African HIV Clinicians Society assume any liability or responsibility for any losses, accidents or damage to person’s private property. Delegates are requested to make their own arrangements for medical, travel and personal insurance. The South African Rand is the local currency. Foreign exchange can be done in most hotels. Major credit cards are accepted and can be used to obtain cash from Automatic Teller Machines (ATM). There is no malaria in Johannesburg. Visitors entering South Africa from a yellow fever zone must have a valid international yellow fever inoculation certificate. No other vaccinations are required when visiting South Africa. The voltage throughout South Africa is 220V/50hz. Most plugs are 15 amp 3-prong with round pins. Please bring an adapter. These can be bought at the airport on your arrival. Tap water is drinkable in South Africa. To determine whether you require a visa to enter South Africa, visit the comprehensive South African Home Affairs Department.